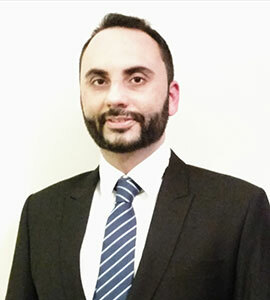 Dr. Saif Khan graduated as a Dentist in 2006, after which he gained broad based experience in dentistry in mainly hospital and academic environment. He did his training in Orthodontics and Paediatric Dentistry, where he gained experience in fixed and removable braces of children and adults. He then worked in the Oral Surgery department, before being accepted for training in Special Care Dentistry at the University College London/ Eastman Dental Institute, London in 2011. During his training in Special Care Dentistry, Dr. Saif got vast exposure of dental treatment of patients with medical problems and those with anxiety to dental treatment, including sedation and General Anaesthesia. In 2012, he passed the MFD exam, and was awarded the ‘Membership of Faculty of Dentistry’ of the Royal College of Surgeons in Ireland. In the same year, he completed his MSc in Special Care Dentistry from the University College London. In 2017, he was also awarded the ‘Membership of Faculty of Dental Surgery’ of the Royal College of Physicians and Surgeons, Glasgow. Dr. Saif is a nature loving person, and is also famous for his cooking skills and experimenting different kind of curries!